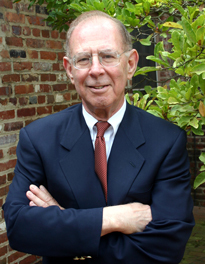 A former Distinguished Visiting Fellow in American History at George Washington’s Mount Vernon, Harlow Giles Unger is a veteran journalist, broadcaster, educator, and historian. He is the author of 27 books, including 10 biographies of the Founding Fathers—among them, Patrick Henry (Lion of Liberty); James Monroe (The Last Founding Father); the award winning Lafayette; and The Unexpected George Washington: His Private Life. Cited by Florence King of the National Review as “America’s most readable historian,” he has appeared on the History Channel and C-SPAN’s Book Notes and spoken many times at Mount Vernon, Valley Forge, Yorktown, Williamsburg and historic sites in Boston, New York, Philadelphia and Washington DC. Mr. Unger is a graduate of Yale University and has a Master of Arts from California State University. He spent many years as a foreign correspondent and American Affairs analyst for The New York Herald Tribune Overseas News Service, The Times and The Sunday Times (London), and the Canadian Broadcasting Corporation, and he is a former associate professor of English and journalism. He is author of many books on American education as well as American history, including the popular" "But What if I Don't Want to Go to Collge? A Guide to Success Through Alternative Education, and the award-winning, three volume Encyclopedia of American Education, a standard reference in academic and reference libraries. After many years in France, Mr. Unger now lives in the United States and is an avid downhill skier and horseman.